The Colonial Theater was opened on September 30, 1909. It was later renamed Majestic Theater. It was remodelled in a Streamline Moderne style in June 1952. It was demolished at the end of 1972. This is a shortcut to the above mentioned photo of the tiny Majestic. Note the Folly Theatre’s massive stagehouse soaring to the right of Baum’s wall sign. Another great photo Cosmic,thanks for posting. You’re very welcome. I enjoy researching old movie houses and hotels, and like to share my findings. We sure do enjoy everyone you get on.Thanks.I love old Movie ads from the good old days the 60’s-70’s. 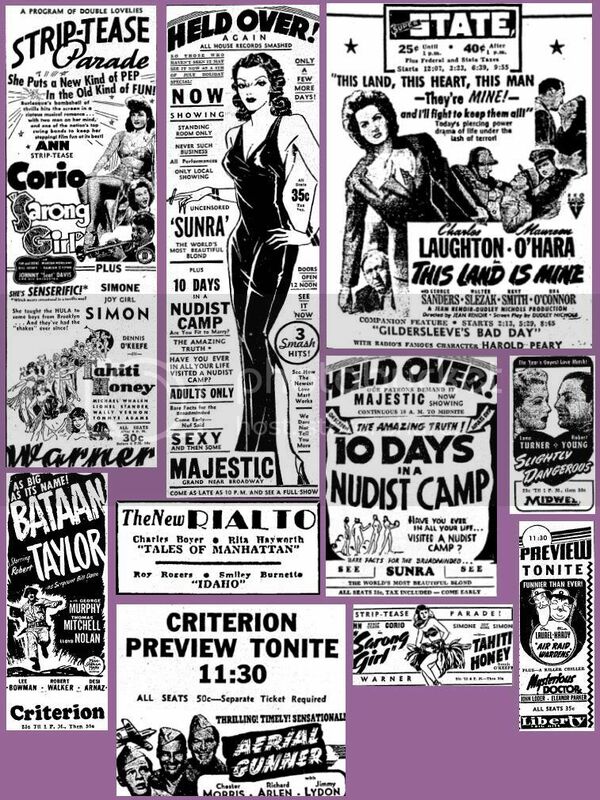 An article about a remodeling of the Majestic Theatre on this page of Boxoffice, June 7, 1952, has four small photos of the theater. The article mistakenly says that the house was built in 1889, which is actually the year Oklahoma City was founded. Architect J.Harry Randall practiced in St. Louis during the late 19th century. 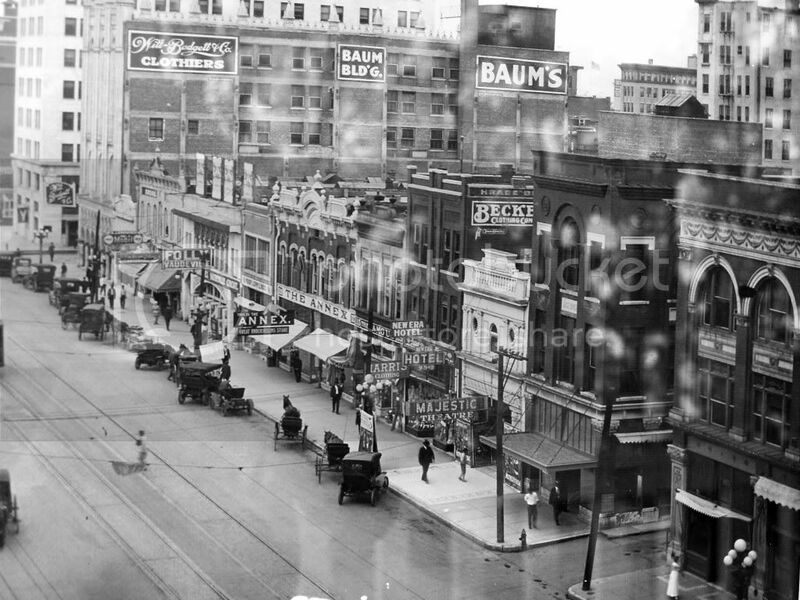 Around 1901-1904 he was working in Seattle, and by 1909 had established himself in Oklahoma City. The news that J. Harry Randall had prepared plans for a $20,000 vaudeville theater at Oklahoma City for W. F. Burnell appeared in the August 7, 1909, issue of The Engineering Record. The house was in operation prior to October 17 that year, when the Oklahoma City Daily Pointer ran an article about various legal troubles Mr. Burnell had run into in connection with the Princess, Colonial, and Dixie Theatres, all three of which properties Burnell owned. This opened as the Colonial on September 30th, 1909. Tiny ad posted.